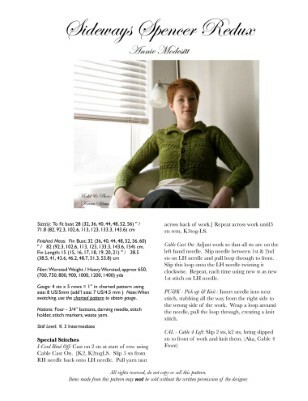 This wholesale pattern is only available when purchased in groups of 3 or more patterns. The cardigan is knit side to side, starting at the left cuff and ending with the right cuff. The waist ribbing, button bands and collar are picked up and knit later.